Radial aggregates on matrix of acicular Atacamite crystals, very bright and with a very deep color. 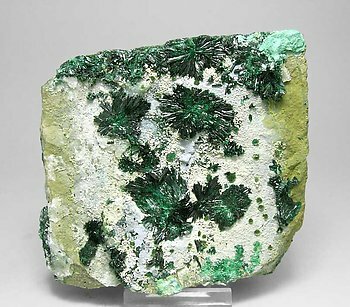 Not well defined crystal group of Atacamite, but with impressive color and brilliance. Also impressive is the origin of this specimen: Elba Island. 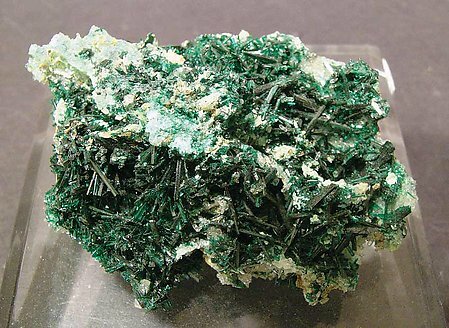 From this locality Atacamite has been described as a very uncommon mineral. For a while we saw these atacamites from Peru, then we stopped seeing them, so I was very pleased when we were able to get hold of this one. 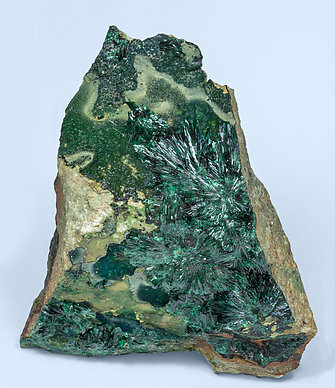 It has lots of crystals and has the typical 'freshly picked' look of the atacamites. 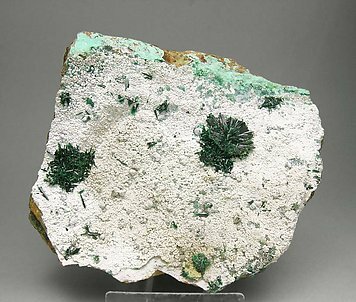 As a collector specimen this Atacamite shows something different from other specimens. In this particular case it is the unusual presentation: it is on top of Agate, with a wonderful contrast between the lustrous green Atacamite crystals and the banded grey Agate. Different! 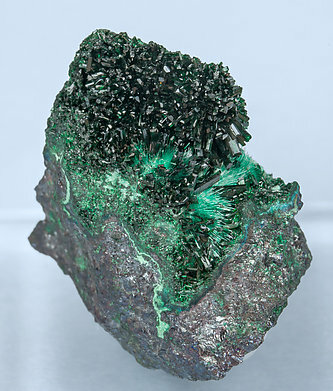 Elongated prismatic Atacamite crystals that are very fine, transparent and extraordinarily bright, with small spray-like aggregates of acicular Brochantite crystals that have a lighter color, all on a Cuprite matrix. 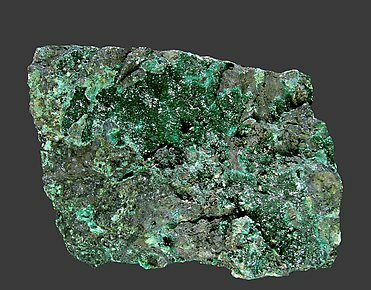 The Atacamite has been analyzed and we’ll send a copy of the analysis to the buyer. 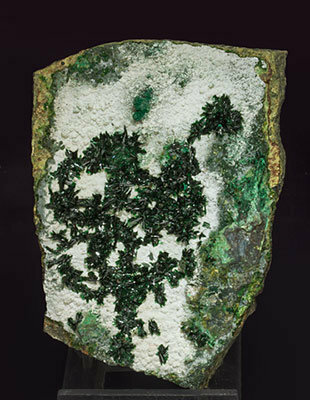 Radial and irregular clusters of Atacamite crystals, between fine prismatic and acicular, many of them doubly terminated. They are translucent, extraordinarily bright and on a rocky matrix partially coated by clear Halloysite. Radial growths of crystals very much better defined than usual for the locality. They are bright, have an excellent color and make a strong contrast with the lighter Halloysite. 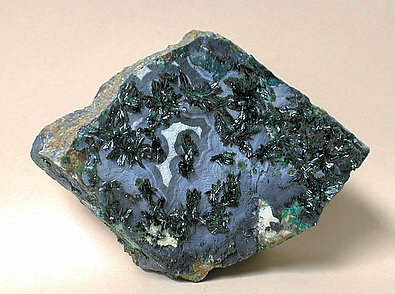 Radial growths of acicular crystals of excellent color and luster, with bluish Halloysite and on matrix. Excellent esthetics.